When the Bodhidharma arrived at The Shaolin Temple he found the monks were weak from sitting meditation so he developed a unique system of exercises called Qigong to energize the monks and help them gain enlightenment. Hundreds of years later, a Shaolin monk took the eight most effective movements. This is the Qigong I teach in The Way Of Qigong Volume 1 and Instant Health: The Shaolin Qigong Workout For Longevity. While you may not want to become enlightened, you can use this simple but effective system to prevent illness, turn back the clock, have more energy, and – if you’re a martial artist – increase your martial power. Most people who do intensive exercise ( for example professional footballers, Olympic athletes) age rapidly and burn out when they’re in their thirties. 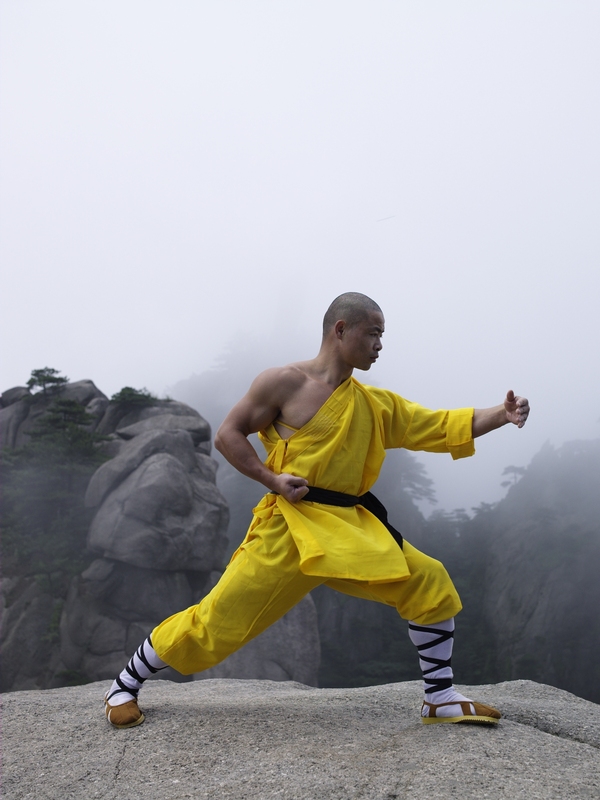 I’m 41, and I still train as intensively as I did when I came to the Shaolin Temple at 13. Why do I not burn out? Because I practice Qigong. If you’re training for health then you only need to learn the 8 Treasures Qigong. But if you’re a martial artist then you need to learn the most famous Qigong forms that come from the Shaolin Temple; Xi Sui Jing and Ee Jin Gong. I teach these in The Way Of Qigong Volume 2 and 3. Ee Jin purifies the muscles and tendons and Xi Sui purifies the bone marrow. Shaolin monks have trained in these two forms for thousands of years and they continue to train in these forms because they know that this Qigong enables them to be the best at kung fu.Qigong takes you to the peak of your power. 7. Be faster and more powerful in your chosen martial art. The Way Of Qigong Volume 1,2, 3 are not only safe but powerful. Even if done incorrectly, they can’t harm the body; it just means they become little more than a stretching exercise. Thank you so much for making these lessons available. My favorite is the 8 treasures movements and I looked into the original meaning of the movements themselves. I feel a great peace in practicing Qi Qong and I agree with B Dharma that it is time to stamp out our negativity and aim our eagles at the heavens. I will be a Qi Qong practitioner for life. The gravity makes even the simplest movements a complicated effort when performed correctly. I think that in space these movements may be used to position a solar sail. I would like to learn kungfu but where? I wish to learn.i dont know anything about kungfu. Your DVD ‘The Way Of Qi Gong, Volume 1’ sparked off a massive transformation in my life. After learning the sitting meditation technique, I have started to actually Live. Before, my life was only ‘thinking’. Qi Gong is so beautiful. My life has started changing rapidly, Externally, and Internally. At age 57 useing Qi gong I feel 17 again,great stuff. Thanks again Shifu Yan Lei.